"In a 2018 CompareCards.com survey, two-thirds of consumers said they always check their credit card and bank statements every month to make sure that the charges are accurate." Welcome to Day 9 of our 30-Day Easy Money Makeover! Every day in April, we’re bringing you strategies to help you improve, and feel more confident about, your money situation. Follow along and see the rest of the calendar here. When was the last time you looked over your credit card and bank account statements? Today’s task may be one of the easier lifts: Many of you have already picked up this habit. In a 2018 CompareCards.com survey, two-thirds of consumers said they always check their credit card and bank statements every month to make sure that the charges are accurate. “If you have time to check Facebook and Instagram 10 times a day, you have plenty of time to do a thorough check of your [financial] accounts,” says Matt Schulz, chief industry analyst at CompareCards.com. Reviewing your monthly statements is smart money management, but if you can spare the time, it’s even better to do daily check-ins on your accounts, says Linda Sherry, director of national priorities for Consumer Action. That helps you spot and take action on potential trouble spots more quickly. As we pointed out on Day 3, subscriptions can add up fast: The average family spends $237.33 per month on subscription services. Worse, more than 8 in 10 underestimate their spending on such services. “Combing through your statement is a really good way to discover things you’ve forgotten about,” Schulz says. Also be on the lookout for subscriptions that have climbed in price without you noticing, and so-called “zombie charges”—ones that shouldn’t be there, for subscriptions or memberships you’ve previously canceled. “Certainly, you want to make sure there are no fees you aren’t expecting or don’t think are justified,” Sherry says. But any account fee you spot (like a late fee, overdraft fee, or credit card annual fee) could give you reason to pick up the phone. Banks are often willing to reduce or waive such fees for good customers, she says. Seeing a long list of fees could also nudge you to rethink your habits, or the products you’re using, Sherry says. For example, if you’re racking up ATM fees, you could take out more cash per withdrawal to make fewer trips—or look for a different bank that either waives ATM fees or has more branches convenient to where you live and work. You would think that fraudulent charges would be easy to spot—a $500 electronics store shopping spree, for example. But thieves often make small test charges. 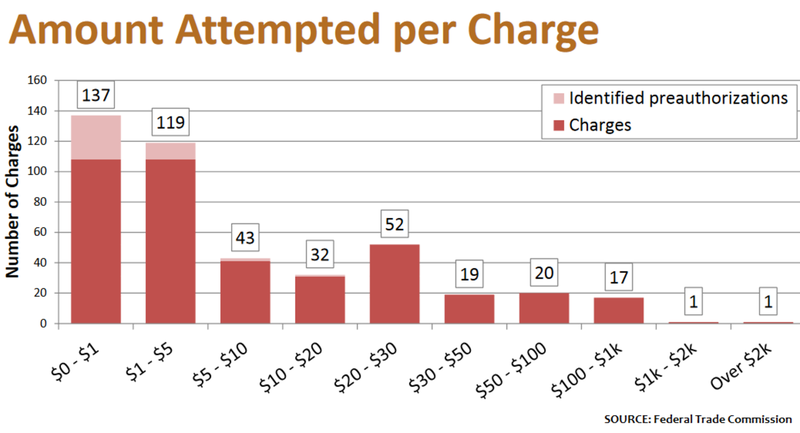 A 2017 Federal Trade Commission study looking at how criminals use leaked personal data found that almost 6 in 10 of the fraudulent charges were for $5 or less, and many of those were for $1 or less. The faster you spot those charges, the easier it is to fight the fraud—and the less money you could stand to lose. If there’s a charge you don’t recognize, call your bank to ask for more detail before you flag it as fraudulent, Sherry says. “These two kinds of statements, the bank statement and the credit card statement, are crucial elements to managing your funds,” says Sherry. Take advantage of bank tools and budgeting apps to analyze your spending. You might spot savings opportunities or patterns to work on shifting. Think of this box on your credit card statement as your reality check. It tells you how long it’ll take you to zero out the balance and how much you’ll pay overall, including interest, if you only make the minimum payment. Seeing those numbers can be incentive to come up with a debt-payoff plan, Schulz says. “The last thing you want to do in good economic times is carry debt, because chances are you’re not putting enough away for when times go bad,” he says.